God saw you getting tired and a cure was not to be. So He Put His arms around you and whispered, "Come to Me." Debbie Lucero-Sivels Born August 25, 1962 in Salt Lake City, Utah. She unexpectedly passed away on January 14, 2019. Debbie had an extremely free spirit, with love for her children and those around her. She took many different paths and journeys during her life travels. She met many people along the way and formed numerous friendships throughout her lifetime. She will be missed dearly. 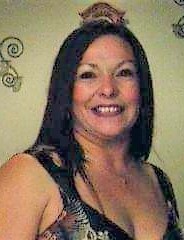 Debbie was survived by her three children, Daughters, Chevone Lucero-Navarro (William) and Destiny Sivels (Patrick) and son Issac Lucero, Steven (Rosemary) Lucero, Eddie Lucero and Tina Bray. Preceded in death by, parents David and Delia Lucero, older brother David Lucero. Funeral services will be February 2, 2019. Funeral at 2 with a viewing beginning at 12 noon.